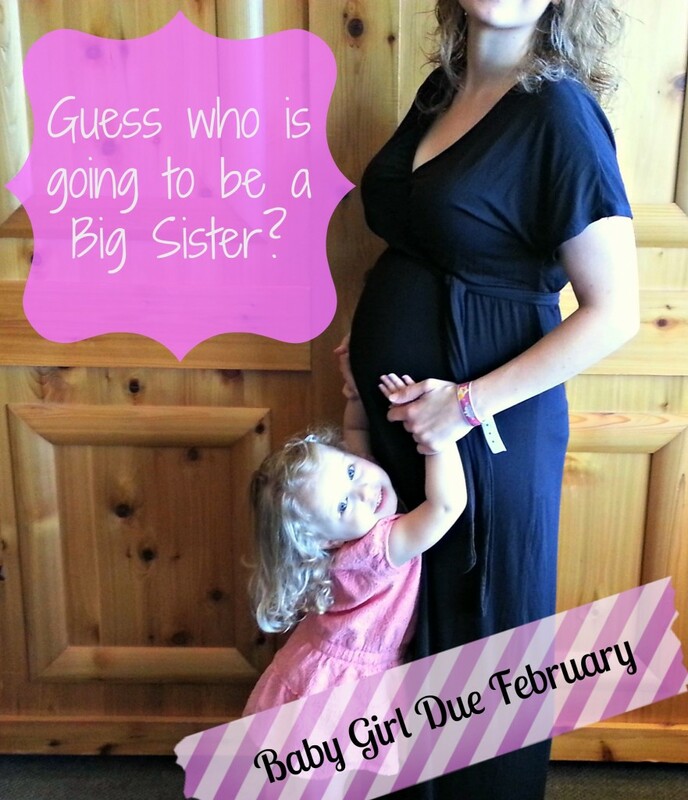 Last week we found out and announced we are expecting a girl in February! Knowing the gender of this little one has jump started my nesting instinct. 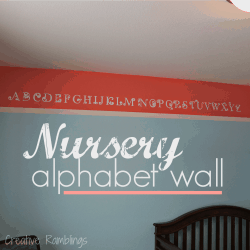 But before I whip out a paint brush I need to figure out what I will be doing in this little one’s room. I think I am in love with coral and aqua. 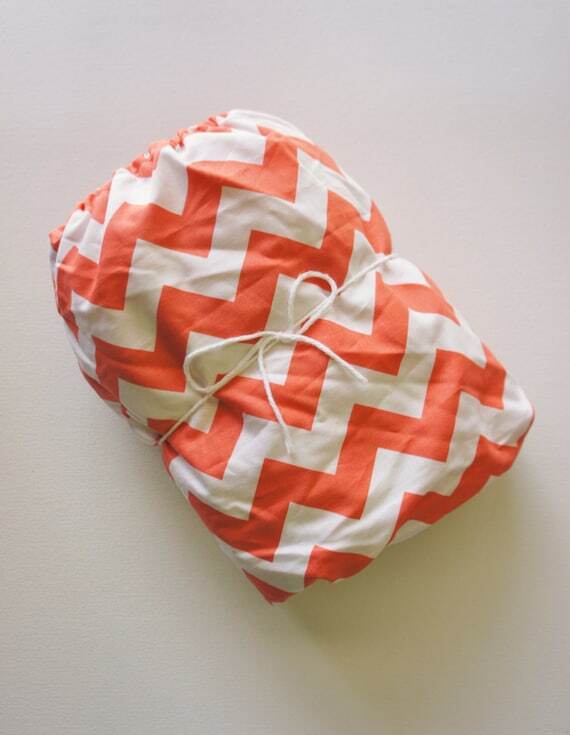 I have loved this all summer, but it might just be perfect for a little girl’s room. 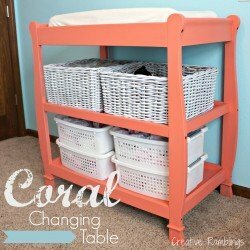 Take a look at my Coral and Aqua Nursery Inspiration. You can see all my baby nursery pins here. I love Design Seeds, don’t you? This is my jumping off point; turquoise coral and gray with lots of bright white. I adore this wall. 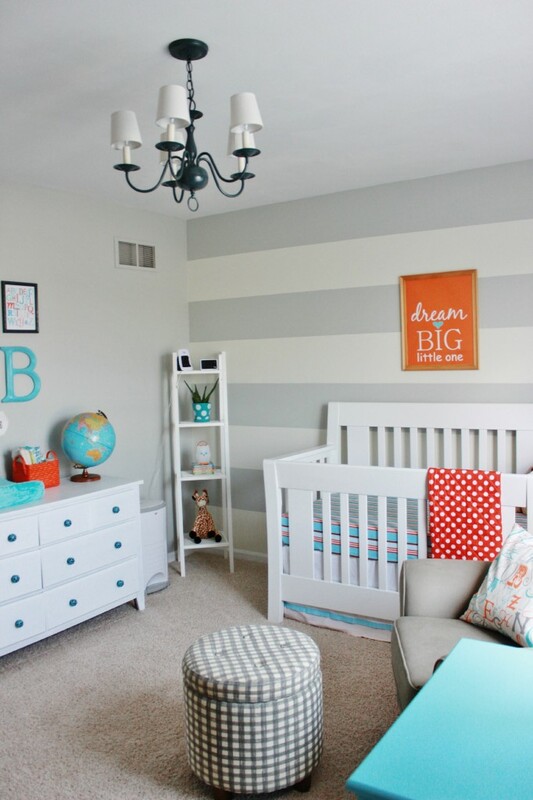 Bold stripes and little pops of color make such a statement in this room featured on Project Nursery. How cute is this from Heartland Paper! 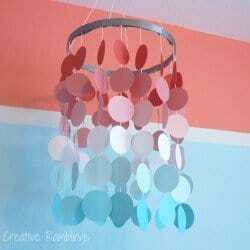 I pinned this when redoing my toddler’s room but it would be perfect in place of a mobile in coral and aqua. This crib sheet from Mod Fox on Etsy is lovely. 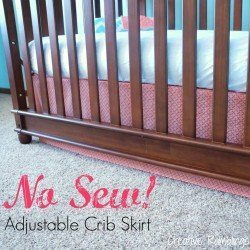 Handmade in Arkansas this shop has sweet crib skirts too, I could totally do a skirt in aqua to coordinate! I am feeling inspired. Still have a long way to go, should probably start by moving my office out of the room and finding it a new home. 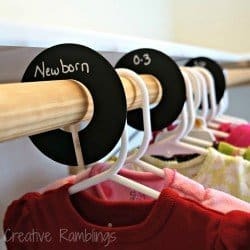 Completely overhauling a room is a such a process, how do you go about creating a nursery or re-doing a room in your home? UPDATE: You can view Baby Girl’s coral and aqua nursery in the posts below. So cute! Nicely tied together! 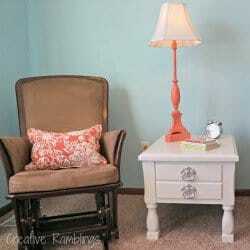 I love the color of your baby’s room and, the furniture that you upcycled is adorable!! !